Our "History as the Agreed-Upon Lie" began for the human species when we first painted animals on cave walls and left our hand-prints there; then in Mesopotamia where we cut decorations into monumental stones as early as the 12th century BCE. Were there ever dragons -- real ones? Many cultures refer to them in myth and legend: some had legs; some but not all breathed fire; some lived in the ocean, others on land; some flew. So perhaps dragons hide deep in our racial memory, going back to the days when we were the size of German Shepherds and lethal beasts ruled sea and ground and sky. Did we ever eat them? Today, the most fierce and proud of Western civilization's professional warriors may refer to themselves as "snake-eaters" -- not because of their dietary preferences, but because of their strength, determination, and competitiveness. For more than thirty years I, with my husband Chris Morris and other like-minded folk, have been exploring the heroic ethos as did Homer in his day and Shakespeare in his: not simply the "monomyth" of Joseph W. Campbell, but also heroism and anti-heroism as it has shaped our myth and cultures, and still does today. In novels we like to read and love to write, history and myth and legend mix and reinforce and explain and articulate one another as only the written word can do. Writers have depended on myth, legend, and history in disparate portions to create humanity's greatest literature -- the better the writer, the bigger the serving that writer gives us of history turned dramatic and allegorical. kisses her dead mouth on the battlefield in an undisguised act of necrophilia. Humans are complex, have always been. Homer, better than most, showed us the manifold nature of the heroic heart. volume, relies solely on fictional tales... or does it? "Dragons have been eating humans for centuries. Now heroes throughout history stalk their legendary foe. Learn how to hunt, kill, and eat the wild dragon. Never before has revenge tasted so good. A literary feast for the bloody-minded. 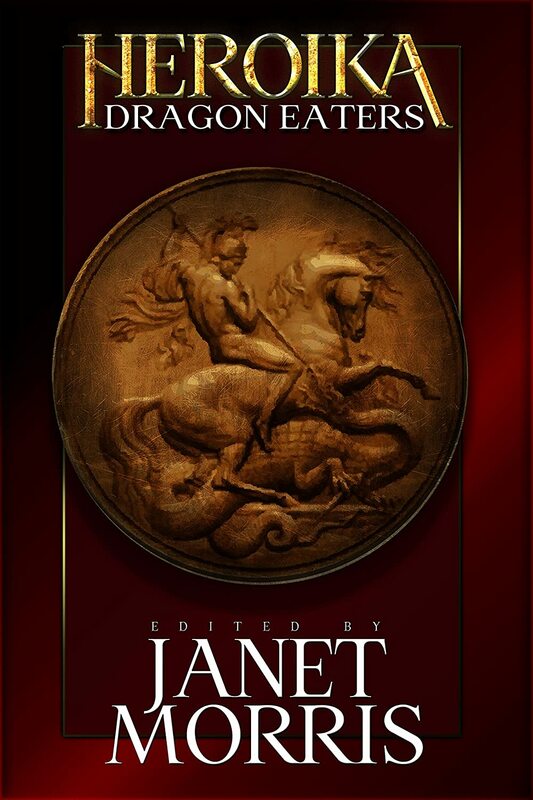 HEROIKA 1 -- DRAGON EATERS, an anthology of heroic fiction edited by Janet Morris, features original stories by Janet Morris and Chris Morris, S. E. Lindberg, Jack William Finley, Travis Ludvigson, Tom Barczak, J. P. Wilder, Joe Bonadonna, Milton Davis, Alexandra Butcher, William Hiles, M Harold Page, Walter Rhein, Cas Peace, Beth W. Patterson, Bruce Durham, Mark Finn. Come explore your own ancient history with us, in Heroika 1: Dragon Eaters. Live a little -- read dangerously. Did There Have to Be A Munich Conference? With the ongoing tragedy now taking place in the Ukraine, the comparisons to the Sudeten Crisis of 1938 have been many. Russia has been cast as Hitler's Germany, bullying a neighbor to fulfill steep territorial ambitions, and the Ukraine as Czechoslovakia, looking for Western backbone to help stave off the oppressor. The events of 1938 are where the term appeasement entered the political lexicon and the word has been getting ample play in the media during the last year. While these comparisons are apt, there are some very real differences between the two crises. First, Czechoslovakia was a bona fide military power in Central Europe with an extremely well equipped and well-trained army, strong defenses along the frontier with Germany, and mountains ringing the border that favored the defender. Second, the Czechoslovaks had a mutual defense treaty with France, plus a side agreement with the Soviet Union where the Russians agreed to come to Czechoslovakia's aid once the French exercised her treaty responsibilities. The Ukraine has none of these assets. When France, Great Britain and Italy signed away Western Bohemia to Germany at the Munich Conference on September 30, 1938 they did so without the participation or consent of the Czechoslovak government. It was a monumental betrayal on Paris and London's part of a steadfast ally. Czechoslovakia was left with a choice: accede to the diktat presented to her, or fight. She chose the former out of fear a conflict would destroy the nation if she fought alone. But what history and even pundits today fail to acknowledge, is the Czechoslovaks had the means to fight. What's more, if Nazi propaganda from the era, which still casts a persuasive shadow 77 years later is put aside, the facts on the ground suggest it is not certain Germany could have won the war Hitler so much wanted to wage. It's difficult to win a conflict with an extreme shortage of ammunition, for example. 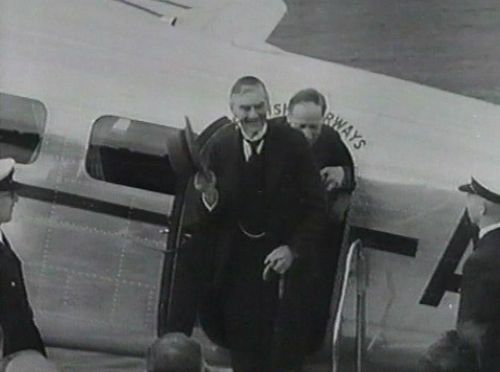 It is feasible that war between Germany and Czechoslovakia could have broken out before British Prime Minister Neville Chamberlain had the opportunity for one last overture for negotiation with Adolph Hitler. Chamberlain's cabinet was in revolt after the German chancellor made extreme demands at the Godesberg summit, and had independently notified the Czechs that there was no longer any reason to advise against full mobilization of their army. The Soviets were readying hundreds of modern military aircraft to fly from Czechoslovak airfields. Lastly, pressure was mounting on the government of French premier Édouard Daladier to dig in and support their treaty partner. In Prague, there were huge demonstrations calling for defense of the republic and the military had mobilized 1,250,000 men in less than 48 hours. In hindsight there was no more advantageous time to stand up to Hitler. So why was Chamberlain so averse to standing up to an aggressor? At the time, all he could see was his nation's complete lack of modern air power or armored ground vehicles to equip men if mobilization was called. The Royal Navy was available to blockade German commerce and bottle up the small but growing German navy, but there was little to nothing to offer the French on the ground if France went to war. Similarly, Daladier was convinced that France could not prosecute a meaningful victory against Germany without British support. The more Chamberlain ran away from the problem, the more Daladier vacillated. Under the circumstances, both leaders believed assessments concluding Germany possessed significant ground and air superiority despite many of those assessments being influenced by German propaganda. They further ignored accurate intelligence that the German armed forces suffered critical deficiencies in equipment, supplies and logistics. And both leaders concluded Stalin was bluffing regarding treaty obligations to aid Czechoslovakia despite intelligence that Soviets were massing military aircraft in the east. France and Great Britain has their own significant deficiencies to be sure, yet the truth is Germany did not have the military strength to withstand a war with France, Czechoslovakia and the Soviet Union. The policy of appeasement was born in fear. In May of 1938, Czechoslovak Military Intelligence, which had an extensive network of operatives inside Germany, reported that Hitler was moving army divisions into place for a surprise invasion. Daladier and Chamberlain responded as they should by standing firm with Czechoslovak president Edvard Beneš. Czechoslovak army units rushed to the border in Bohemia as French and British diplomats made it clear to Berlin that mobilization orders were at the ready. Hitler was enraged at the show of fortitude but there was no war. History calls this event the May Crisis or the May Surprise depending on which side does the telling. What is clear though is having stood up to Berlin with positive results, France and London became fearful that they had come too close to a war they were not ready to fight and determined that they should not come so close again over 3.5 million Germans in Western Czechoslovakia. Regardless of treaty obligations, a calculation was made regarding what was worth fighting for, what was not worth fighting for, and the best opportunity to stop Hitler was cast aside. What would be the calculation today should Russia decide to imperil Estonia? The Baltic nation is a NATO member with a population that is 25% Russian. Regardless of treaty obligations would London, Paris, Rome or Washington want to go to war with Moscow over a small country with 1.3 million people? We would like to think the answer is yes yet politicians often conclude doing the right thing is not worth the cost. Perceived weakness is what led to the Munich Conference. Abandoned by her principal ally, perceived weakness is what led the Czechoslovak government to surrender without a fight. In the end, the Munich Conference was not intended to buy peace, but to buy time. It was a shortsighted bargain that did not consider the consequences of Germany absorbing first-class Czechoslovak weapons of war and the industrial capacity to produce them. So bolstered, the German army was a much more capable foe in 1939 during the invasion of Poland, and the Battle of France in 1940. George T. Chronis is a journalist, author and market research analyst living in Southern California. His novel, Sudetenland, explores the 1938 crisis in great detail. To learn more, please visit www.sudetenland.georgetchronis.com or Amazon.com. The Sudetenland. To Europe’s well-heeled in the Nineteenth Century, this was a place of world-renowned spa resorts nestled in the mountains ringing Western Bohemia. But bad blood and unfinished business from the First World War had taken their toll on the Sudetendeutsche – three million ethnic Germans unhappily living in the new nation of Czechoslovakia. In 1930 they were just one more ethnic complication among many in Central Europe. Eight years later, these people had found a champion in Adolph Hitler, and the smart money in Paris and London wagered the next World War would detonate in these storybook mountains and valleys. 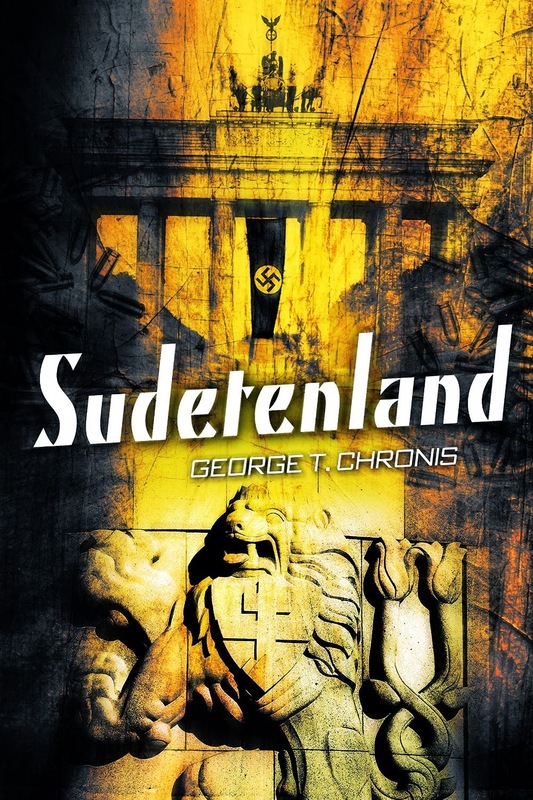 Sudetenland© is a sweeping historical novel set against Central European intrigue during the late 1930s leading up to 1938's Munich Conference. Having swallowed up Austria, Adolph Hitler now covets Czechoslovakian territory. Only France has the power to stand beside the government in Prague against Germany... but will she? 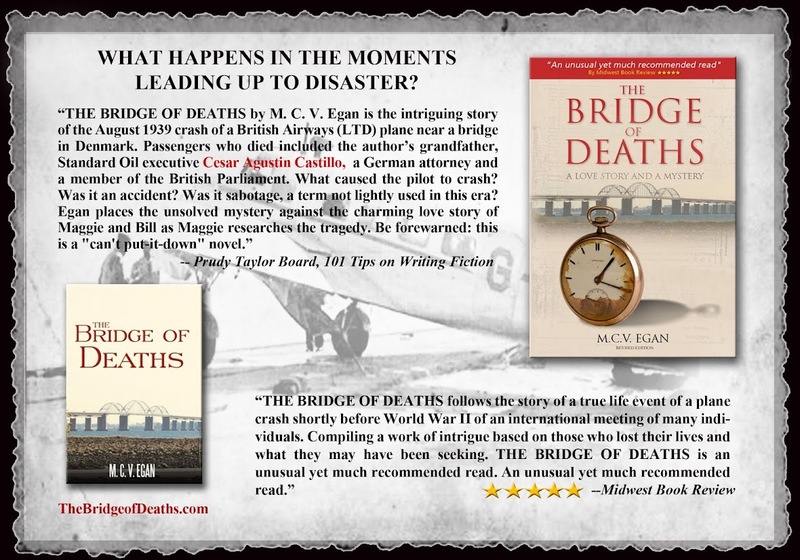 The characters are the smart and sometimes wise-cracking men and women of this era – the foreign correspondents, intelligence officers, diplomats and career military – who are on the front lines of that decade’s most dangerous political crisis. Sudetenland© introduces readers to Jan Burda, the Czech intelligence officer who must thwart the Nazis operating on his own soil; Ros Talmadge, the Paris-based American who is trying to make a name for herself as a foreign correspondent while staying one step ahead of her mercurial boss; Dietrich Morgen, the street brawler from Hamburg who found a home in Himmler’s SS; Ladislaw Capka, the Czechoslovak army tank commander trained in the finest French military academy who is determined to take the fight into Germany if war comes; Nathan Bulloch, the American military attaché in Prague who wanted to see the world but saw little reason in getting killed doing so; and Anton Krisch, who comes out of the Esterwegen concentration camp a much more dangerous man than when he was thrown in. With remarkable attention to historical detail, Sudetenland© also features man actual personages who played a vital role during this international crisis including Charles de Gaulle, Winston Churchill and Frantisek Moravec. Hitler’s unshakeable will demands that the Sudetenland be ripped from Czechoslovakia and joined with Germany. If Czechoslovak president Edvard Beneš ignores the advice of French premier Édouard Daladier and refuses to give up Bohemian territory willingly, then Hitler orders that it be taken by force. As the crisis builds over the summer of 1938, any spark, any perceived indignity could ignite the German dictator’s rage and start the war the leaders of France and Great Britain are so determined to avoid. Sudetenland© takes readers behind the scenes into the deliberations and high drama taking place within major European capitals such as Prague, Paris, Berlin, Vienna and London as the continent hurtles toward the crucible of a shooting war. My father sold our farm in Pennsylvania in 1973 and moved us to Minnesota in 1974. According to all the farming sources that I have consulted, the 1970s were a time of soaring farm income and commodity prices. It was a time of prosperity for farmers. I, as a 16 year old, was totally oblivious to the politics and financial dynamics of farming though looking back now, I can see how my father was lured by the booming economy to put his finances on the line in this huge family venture. And of course, about the time that I finally made my escape from the farm in 1986 coincided with the falling land prices, rock bottom crop prices, and high interest rates that led to a nationwide crisis in agriculture in the 80s. 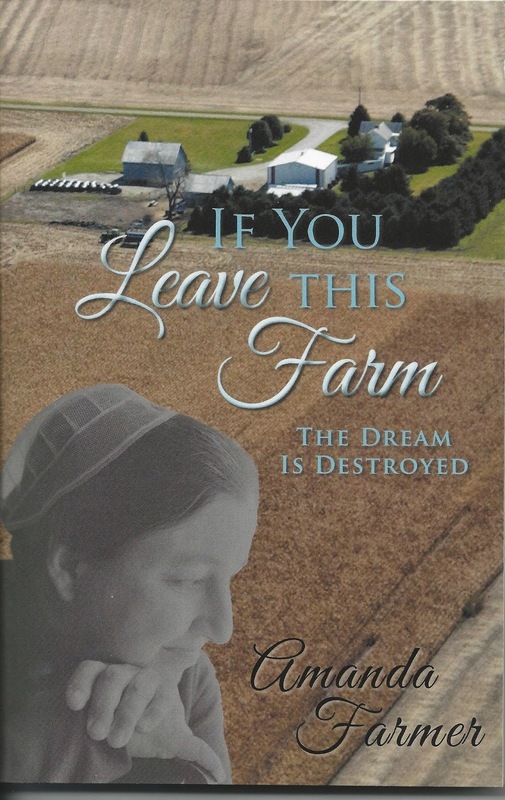 From a historical standpoint, “If You Leave This Farm” is a story of farming in Minnesota during these turbulent times. Maybe, that was part of the pressure that shaped my father into the controlling patriarch that he became. We load the bagged seed corn unto the truck and head for the field. Heavy black clods stick to the tractor tires, but in spite of the dampness, we begin planting. Paul discs the ground ahead of the planter while Daddy puts the seed in the ground. Joseph and I man the fertilizer truck and help reload the seed corn. As we sit in the truck and watch, the green tractor fades into the distance before the speck turns around and begins to grow larger again. Our Minnesota fields are so large they seem to have no end. This one is over three-quarters of a mile long. Because of the wet soil conditions, some of the rows make half circle detours around the wet spots. It has begun to look like an earthworm has slithered over the black earth. Daddy has barely planted fifty acres of corn on our first day of planting when the western sky begins to darken. Within thirty minutes, storm clouds roll in, and the wind picks up. Daddy has just made his turn at the other end of the field and started back toward us. The sky grows darker and darker. Daddy is still just a growing spec in the distance when the heavens release their torrents. Perspective is lost in the driving rain and Daddy drives right into a wet spot instead of around it. He becomes stuck in the thick goo. The tractor and planter are abandoned until the next day and everybody runs for cover. This day becomes a repeating pattern over the next couple of weeks as we struggle between rain and wet soil to get the corn into the ground. 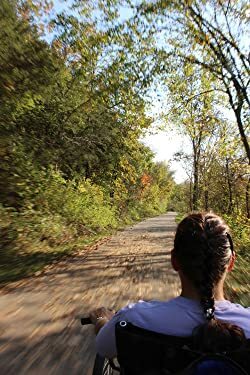 Amanda Farmer was born in Pennsylvania and moved with her family to Minnesota at age 16. She lived and worked on the farm until age 29. Amanda earned a master's degree in Nurse Anesthesia in 2007 and currently works in that profession. She enjoys reading, writing, and most any outdoor activity. She and her husband of 23 years live on a hobby farm in southeastern Minnesota. They have one college-age daughter, 2 cats, a dog, and some fish. All the animals were obtained in response to "P-l-e-a-se Mom!"